The Global Leader in Non-Mesh Hernia Repair. For over 70 years, we have been the only licensed hospital in the world dedicated to repairing hernias. More than 98% of our cases are performed with our natural tissue technique...without the use of mesh. It is our experience that over 98% of all abdominal wall hernias can be repaired using only the body’s natural tissue, without having to subject patients to the use of surgical mesh and its related, and often serious, complications. Despite our pioneering the development of mesh in the 1980’s, we remain committed to our belief that mesh is needed in less than 2% of all cases, and then, only when the underlying tissue cannot support a permanent hernia repair. We are so confident that the Shouldice repair will last a life-time, that if your hernia comes back, we will fix it at no charge to you for the surgery (pending medical eligibility). Hernia surgery is all we do at Shouldice Hospital. Since 1945, we have performed over 380,000 surgeries, with patients from every province, from British Columbia to Newfoundland. Our specially trained surgeons perform on average 700+ hernia operations per year, more than the average general surgeon does in a lifetime. Other surgeons may claim they can perform the “Shouldice Hernia Repair” but it is our dedication to hernia surgery that ensures our surgeons deliver the best surgical outcomes in the world. No other surgical centre can match our 99% success rate and complication rate of less than one-half of one percent. Inter-Provincial Agreements pay for all hospital ward fees and reimburse a portion of the professional fees. Semi-private room charges are eligible for coverage under private insurance plans. Your health is your most precious resource – why take the risk of having a foreign material (surgical mesh) placed in your body for the rest of your life when there is a time-tested, proven superior alternative – A Natural Tissue Repair at Shouldice Hospital. Shouldice Hospital is conveniently located less than an hours drive from Toronto’s two international airports. We have dedicated case managers committed to making your stay as trouble free as possible. They are experienced with making travel arrangements between all major centres in Canada and Toronto, maximizing inter-Provincial Fee reimbursement, minimizing hassles with medical paperwork and helping family with local lodging and entertainment. You complete one simple Medical Questionnaire and we coordinate the rest. Our Patients at Shouldice Hospital Say it Best. 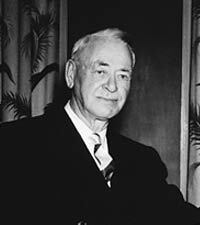 Dr. Edward Earle Shouldice founded Shouldice Hospital in 1945 with two simple guiding principles which remain to this day: to provide the best surgical outcome and patient experience in the world – period. For over 70 years the Surgeons and staff of Shouldice Hospital have dedicated themselves to repairing abdominal wall hernias; it’s all we do, having performed over 380,000 successful hernia repairs using our natural tissue technique without the use of surgical mesh and its serious complications. Your health is your most precious resource and every year over 6,500 patients trust Shouldice Hospital to repair their abdominal wall hernia. Our surgical team is comprised of the most experienced hernia surgeons in the world who have set the gold standard in hernia repair for decades by producing the lowest recorded rates for hernia recurrence and post-operative complications in the world. Clinical evidence, gathered over 70 years of follow-up with our patients, clearly demonstrates that the hernia repairs performed at Shouldice Hospital are exceptionally safe, secure and reliable. Although there are inherent risks in any surgery, there are no similar or comparable risks in natural tissue hernia repair versus mesh. Scar tissue of natural tissue left in place represents no risk, while mesh left behind can continue its erosion and potential migration within the body. Mesh should never be used because it’s easier, faster, cheaper or due to lack of familiarity with, or expertise in, the use of natural-tissue techniques! You will encounter a lot of contradictory information and advice leading up to deciding to have your hernia repaired and it is our goal to provide the most trusted and unbiased sources of information to allow you to make the best possible informed decision. We invite you to explore our website, to learn all about hernias and to understand your treatment options. Through this process we are confident you will entrust Shouldice Hospital to perform your hernia surgery. Shouldice Hospital is committed to excellence in serving all patients including people with disabilities. To increase the text size, press and hold down the command key on a Mac or the windows key on PC, then press the plus (+) key. To decrease the text size, press and hold down the command key on a Mac or the windows key on PC, then press the minus (-) key.